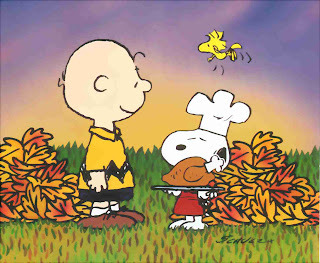 Poodleism: Happy Turkey Day to all! A fabulous family and manfriend. 2009 has had some bumpy parts. I never would’ve made it to another Turkey Day with out them. Hopefully next year they’ll be thankful for my love and support, I’ve been the needy one this year. The prince. He can’t read blogs, so I’ll just communicate my thanks to him with treats and cuddles. He keeps me sane. Sometimes I get stressed out and my precious little companion makes me happy. My friends. Although some of my BFFs are afar these days, I’m thankful that they love me enough to text, call, chat…whatever. I need their thoughts to keep on truckin’ sometimes. New friends have made me feel so welcome and at home in Dallas. I appreciate that and should tell them more. I’m one lucky little lady to have a job that I like going to everyday. This time last ye ar I wasn’t a happy camper professionally. I’ve come along way, and I’m grateful to have a job at all. Also thanks to the carpoolers for being such good new Dallas friends. I’m also thankful for these more frivolous items that bring smiles to my face: delicious chocolatey treats, the sweet sweet music of Beyonce, gChat, Gossip Girl, goat cheese, Twilight, the dog park at my apartment building, and NBC Thursday night programming. 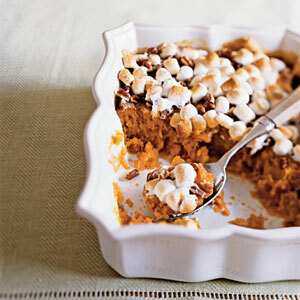 Now that the thanks are out of the way, my focus will be on sweet potatoes and pie for the next couple of days.